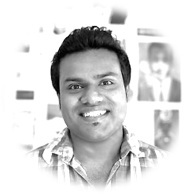 My name is Ravi Jay and I am passionate about Digital Transformation, particularly in retail. Most of my literary and professional contributions in came during my days as the Chief Digital Officer for myMzone. Now, I am with Accenture Digital encouraging modern day CDOs to executing on the digital imperative and culture change. “Digital. Simplified” is my view on emerging #Digital, #Gamification trends in #Retail. I listen to #ThinkLookActDigital on Google and Twitter. My handle is @ravi_jay1. Digital Transformation for my clients is about delivering a rich consumer experience through analytics and insight in a multi-channel world. It is about leveraging customer intimacy to open up avenues for business development and improving operational efficiency; thereby enabling you to give more value back to the customer. 1) Understanding what digital transformation means to an organisation. 2) Mapping out the skills and capabilities. 3) Technology delivering business and not business supported by technology. Interestingly, technology is the least of the challenges. 2) Simplicity – how to better make those products available to the consumer, and recommend relevant alternative products based on rich insight. Transformation is about understanding what the customer wants. It is about maintaining a complete view on customer and looking at every available interaction through an analytics lens. Customer centric operations makes it easier to communicate directly with the customer through any available channel – emerging trends clearly indicate that #winning requires ecosystems built around customers. One of the most talked-about and visible of these new channels is social media. Social allows and empowers retailers to connect with consumers on their own terms, allowing them to present customers with content and user experiences that are richer and more relevant. The rules of consumer engagement are continually evolving, as technologies mature, devices become more connected, and consumers’ expectations change. Gone are the days of one-way advertising. Retailers can now use multiple channels to engage and target huge numbers of customers at a time on a personal level, generating instant and contextual feedback that can provide the insight that facilitates rapid innovation and turn businesses into lean, learning-driven organisations. Social media underpins a very important value – customer-centricity – and emerging trends clearly indicate that winning requires ecosystems built around customers. After all, why set up shop on every high street, when it’s easier to have one in every pocket? Do you #ThinkLookActDigital? Join the conversation on Twitter.